It is a truth universally acknowledged that every teenage girl and grown woman has a crush on at least one bad boy and one guy who’s “safe.” On the one hand, bad boys are exciting and passionate men. On the other hand, we flirt with the boy next door because of how comforting they can make us feel. Sorry to burst your bubble, but neither of these scenarios are the kind of fairy tale that ends with a happily ever after. Bad boys aren’t like a project and nice boys aren’t safety blankets. If you are called to marriage, you need to let God take the lead and that means being smart when it comes to relationships. If you ever feel lonely or needy, spend time with God in prayer. It may not feel the same as having someone solid who can hold your hand or wrap their arms around you, but believe me, the time you spend with God is more valuable than the time you might spend trying to find validation and comfort from others. Real love encompasses us. It transcends beyond the Hollywood romantic comedies and the fairy tales we read as girls. 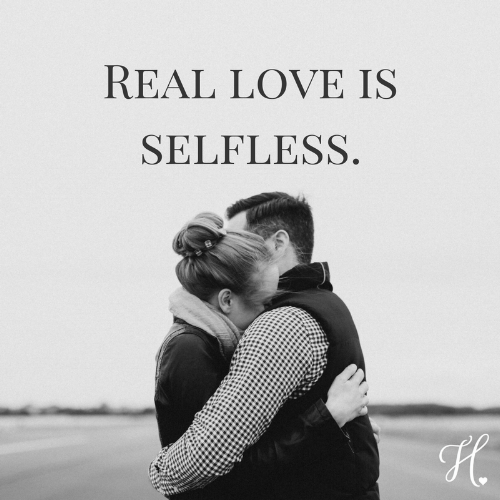 Real love is selfless and it means that we need to give as much as we want to get if we want truly fulfilling, complete relationships. Real love requires a balance of both passion and reason. Swinging too far towards passion can lead to self-destruction. Swinging too far towards reason leads to isolation. Self-control gives us the balance we need.